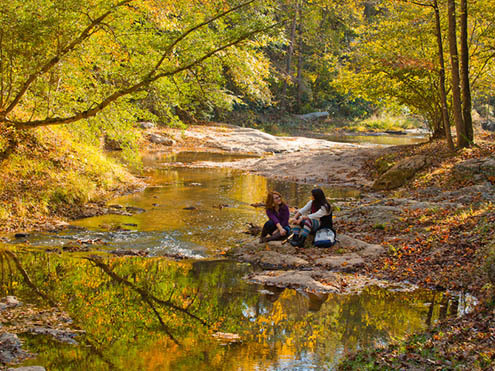 Georgia State Parks & Historic Sites have something for every type of traveler throughout the year. 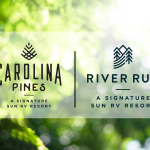 With a wide range of outdoor activities and affordable lodging for vacations and quick getaways, there is fun to be found no matter the season. 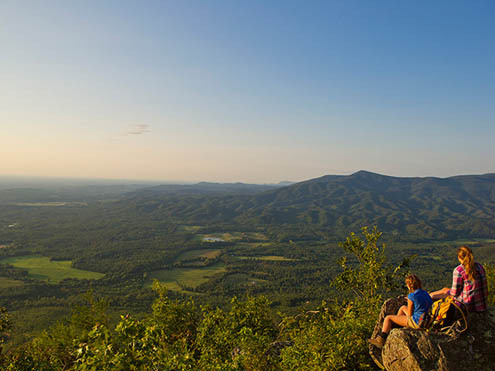 A multitude of exciting activities at a variety of budgets allows guests to create their own state park adventure. Kayaking, hiking, biking, horseback riding, geocaching, fishing, and archery are a few examples of ways to enjoy the great outdoors. Georgia State Parks also boasts eight golf courses that offer challenging play at extremely affordable rates. If you’re not vacationing with the wildlife at Georgia State Parks, you’re hanging with the wrong crowd. Many sites have nature centers to get up close and personal with some of the state’s most interesting creatures. Wildlife events include everything from guided moonlit hikes and kayak trips to the classroom and interactive outdoor animal adventures with raptors, owls, snakes, creeping insects, and small invertebrates. Explore event options here: GeorgiaStateParks.org/events. Most are free or low-cost, plus a $5 parking fee. Mixing entertainment with education, the state’s 16 Historic Sites offer everything from presidential homes to picturesque plantations and forts and battlefields for the Revolutionary or Civil War buff to ancient Indian mounds for those interested in American Indian ties to Georgia. Visitors can see a complete set of gold coins from the state’s first gold rush at the Dahlonega Gold Museum, join a living history demonstration or take in a re-enactment of military history. For complete descriptions of Georgia’s State Historic Sites and what to explore at each, visit http://gastateparks.org/history. 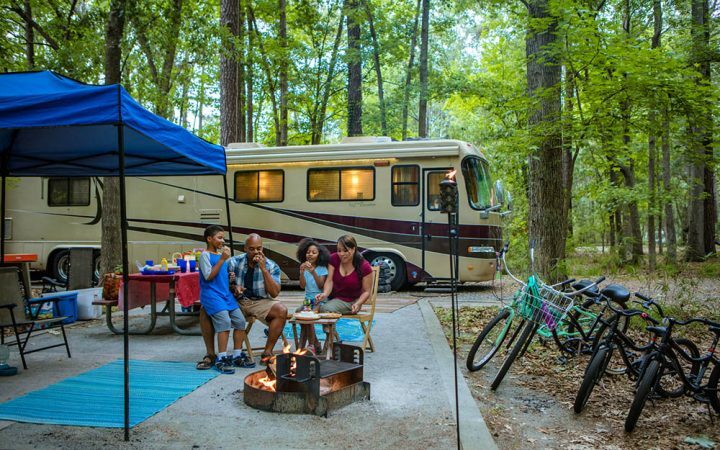 With accommodations for all budgets, vacations have never been simpler at Georgia State Parks. 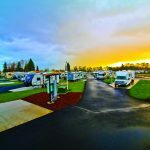 Visitors can spend a night under the stars in modern campgrounds with hot showers, laundry facilities, RV pull-through sites, electrical/water hookups (some with sewage), fire rings and grills, and nearby campground hosts. Some parks even offer site-specific reservations. Add a little luxury by glamping in a yurt. For those who would rather sleep in the comfort of beds with private bathrooms, many Georgia’s State Parks offer one-, two- or three-bedroom cabins. Newbie campers can try the First Time Camper’s Program, where rangers assist with loaner tents and prepping the family for a night of camping.